I have long been a fan of Mr. Kilmer's acting. I think, for example, that his interpretation of Doc Holiday in Tombstone was the definitive Doc Holiday and will probably never be topped. I was terribly saddened and offended by the comments attributed to him. Now that it has been verified that he personally made the statement and apology, I await the same from Mr. Klosterman. I will suspend my anger and hold it in reserve for Mr. Klosterman, should he be unable to prove Mr. Kilmer actually said those words and in the context as reported in his article. I deeply appreciate Mr. Kilmer's apology and his empathy. I do want to thank you Pat for not being part of the lynch mob mentality I am seeing here. Like many of you, I have many relatives going back generations who fought proudly for this country. I had 10 uncles who fought in WWII in all branches of the US Armed Service. Only one is still alive to tell me the stories of marching across Europe with Patton in that well-known winter march. My father was with the 1st Marine Division on Guadal Canal. When they tried to send him home to rest he joined up with the 3rd Division and went to Iwo Jima. 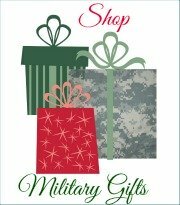 My husband made the Army his career. He fought with the 101st Airborne in Vietnam. My lifelong best friend was a Vietnam nurse. And her husband was a Marine in Korea first then he became a sgt in the Special Forces in Thailand. The vets I know and love would be ashamed of some of the things said by Americans about an American on this website. We should not be so quick to judge others. What many of you probably don't know about Val is that his parents divorced when he was around 7 or 8. His father hired Jan, a Vietnam vet who was also a student at the local community college, to look after his 3 sons including Val. On many different occasions on televised interviews, when asked about his childhood, Val has spoken of Jan with much love and affection. Always, always mentioning with pride that Jan was a Vietnam vet. He has always credited Jan with being very influential in his upbringing. These interviews where he has spoken so affectionately about a Vietnam vet predate this Esquire article by at least 10 years. The only thing Chuck said in that article that I actually agree with is Val Kilmer is nice. I want to thank you for contributing the story about Val Kilmer and his nanny. We appreciate you sharing that insight with our readers. 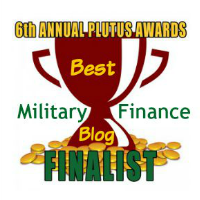 "Good advice to stay away from the military-money-matters website. I am one of those people who had my post changed. I was an English lit major in college, so I tend to be fairly precise in my use of words. They changed some of my wording and still put my name on it without asking me. I was angry and offended. I might still write something stupid on my own but if I do it should at least be my own fault and not because some editor with an agenda completely opposite of my beliefs, used and twisted my words." To the best of my memory, the only thing changed about your post was the title, and probably the addition of some paragraph breaks. Online, paragraphs need to be shorter, to make it easier for the reader. I, too, was an English major, so I appreciate the precise use of words. It's rare today. I am going on record here as saying that I did not twist your words. I don't even recall changing any words other than your choice of title, which I changed in an effort to get more people to read what you had to say. This is an absolutely untrue accusation: "some editor with an agenda completely opposite of my beliefs, used and twisted my words." I?d really like to know what you think was changed. In fact, we resisted the urge to delete the space in "Guadal Canal." I was impressed with your submission and pleased that you shared that personal story with us, since so few of the posters have actual interaction with Val. I was also pleased that you were reasonable and rational and unemotional. There was nothing in your post that was objectionable or that we would have wanted to change, whether or not we have similar beliefs. If everyone had the same beliefs, what would there be to discuss? The ability to discuss differing beliefs in a rational manner is one of the things that makes America great. At that point, we wanted to believe Val, too, and were still hoping that we would be told there had been a mistake and Val didn't say those things. On the contrary, Esquire's editor was unequivocal in his response. Perhaps you and Michael and the other members of Val's fan club should contact Esquire yourself. We didn't create the quote, we just reported it. It's more than a little ironic that you, and Michael, and "serendipity" are doing exactly the same thing to us that you're objecting to Esquire doing to your hero, Val -- making false accusations. We reported what we found, and defended our Vietnam veterans against the false accusations contained in Kilmer's quotes in Esquire. You're objecting to what you believe are false accusations against someone you care about. And you're making false accusations to do it. Very ironic indeed. So I guess your message would be "Do as I say, and not as I do?"